Eddie Redmayne in The Theory of Everything. Directed by James Marsh. With Eddie Redmayne and Felicity Jones. Now playing. Who doesn't enjoy a good "genius movie" once in awhile, especially when the genius in question is as cuddly and personable as physicist extraordinaire Stephen Hawking, the subject of director James Marsh's The Theory of Everything? Actors Eddie Redmayne (as Hawking) and Felicity Jones (in the role of his wife Jane) both contribute vivid flesh-and-blood performances in what is essentially the personal — as opposed to the strictly professional, mathematical, research-driven — chronicle of Hawking's life, and we come away smiling because the universe suddenly seems a brighter and more hopeful place. Their playing, in concert with Marsh's light touch and Anthony McCarten's screenplay (adapted from Jane Hawking's book) actually gives the descriptor "inspirational" some long-lost credibility. Hawking is a bashful but sunny-side-up science geek at Cambridge circa 1963, when he first gets the reputation as a genius. In between serving as a crew coxswain and playing pinball, he solves a difficult set of problems on the back of a railroad timetable — he ran out of scratch paper — and impresses the bejabbers out of his professor (David Thewlis). Hawking's ambition is to develop "one single unifying equation" that will sort out nothing less than the meaning of life. Theorems just explode out of him like sneezes. His love life also upticks when he meets Jane, a Spanish medieval poetry major. He's an atheist, she is not, but they're in love. Then comes the day when his legs and fingers begin to fail him. Hawking is diagnosed with motor neuron disease, aka ALS or "Lou Gehrig's Disease," and given two years to live. Jane sticks by him devotedly, even though his head is in outer space most of the time. Contemporary audiences are familiar with the image of the real-life Hawking, now 72, curled up in his wheelchair, speaking through a voice synthesizer, deftly explaining the space-time continuum and other concepts that seemed hopelessly complicated until he came along. Hawking's transformation from impetuous academic wizard to the world's favorite nuclear physicist is told with a welcome sense of humor. 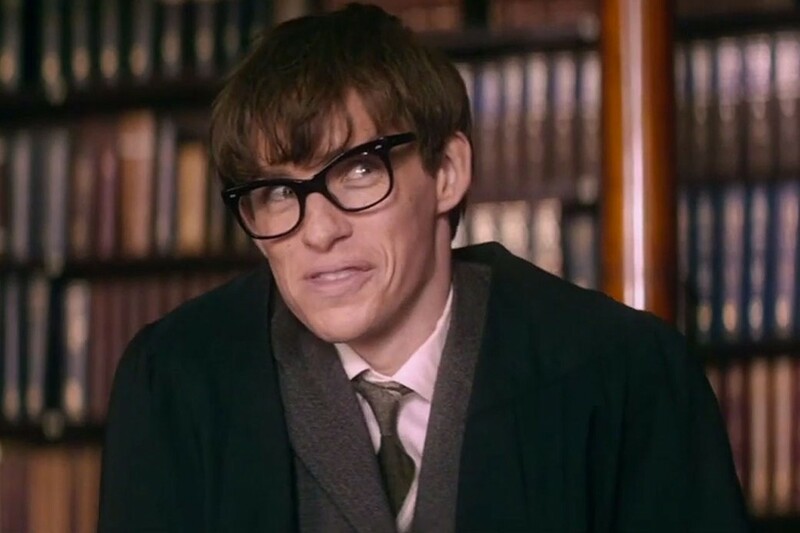 Redmayne, usually cast as a callow youth in such projects as Savage Grace and My Week with Marilyn, involves us completely with the stages of Hawking's life and his immense personality. 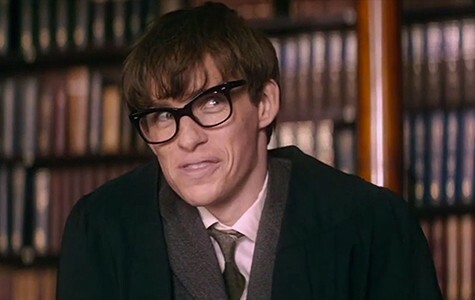 Stephen Hawking is the best thing that's ever happened to Redmayne's career, and The Theory of Everything is a treat.